The grade of Fellowship is designed to acknowledge the most senior and respected professionals in the field of Information & Records Management. Nominations were invited from across the Society looking for those who had achieved eminence, authority and seniority. The nominations were then voted for by the Officers and Executive Committee. 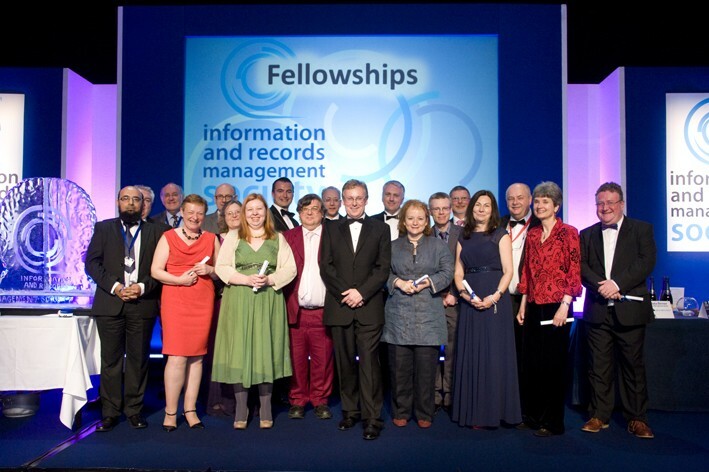 Congratulations to all 2013 IRMS award winners including the National Records of Scotland Public Records Scotland Act implementation team – Andy, Bruno, Hugh and Pete – for IRM Team of the Year, and to Claire Johnson (CJ-IMC) for IRM Professional of the Year. This entry was posted in Conferences, General and tagged IRMS. Bookmark the permalink.